Northend Disposal Services proudly provides top quality residential garbage removal in Dodge City and the surrounding area. Please contact our office to set up residential trash service. Residential trash containers are provided to you free of charge as part of your Dodge City trash removal service. If your normal pick up day falls on one of the holidays below, Northend Disposal Services will pick up your Dodge City trash on the next business day. Please call 620-227-3371 if you have any questions. 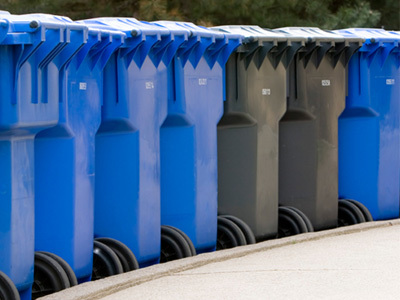 To ensure your trash collection occurs as scheduled, please have your trash containers out by the curb or alley by 6:00 on the day of your trash pickup. Weather permitting, Northend Disposal Services provides weekly trash removal service to both home and business in the greater Dodge City area. If you have extra garbage or large items that will not fit in the container, please call 620-227-3371 ahead of your normal residential trash collection day. Please note there may be a small fee for garbage that does not fit in the container.